Micheal Adikwu, the prime suspect and gang leader in the Offa bank robbery where at least 32 people were killed on April 5, 2018 is dead. Kwara State Attorney General and Commissioner for Justice, Kamaldeen Ajibade, SAN disclosed this at a Kwara State High Court today, when five of the six principal suspects were brought to court. The five suspects arraigned were Ayoade Akinnibosun, Ibikunle Ogunleye, Adeola Abraham, Salaudeen Azeez and Niyi Ogundiran. However, Michael Adikwu, a dismissed police constable who was said to have confessed to being the mastermind of the bloody operation was not in court during the arraignment. 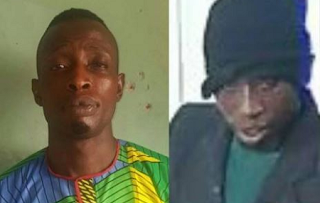 When the case came up, Ajibade, who said that his office received the case file of the robbery operation on Monday evening explained that the head of Police investigation team, Abba Kyari informed him that one of the suspects, Michael Adikwu was dead. According to him, we have the names of six suspects on our charge sheet, but they brought five suspects, we cannot go on with the case until we amend the charges because we can not prosecute a dead person. The Attorney General also said that the case could not go on because the suspects had no legal representation. He, however, urged the court to adjourn the case so that the charges could be amended and the suspects could get legal team to represent them. It would be recalled that two lawyers who were representing the suspects announced their withdrawal from the case last week. Justice Halima Salman adjourned the matter till November 30, 2018 and ordered that the suspects get a legal team.